Fukuoka is widely known for its rich culinary culture, and any visitor to the city would be missing out if they didn’t sample the rich variety of cuisine available. The following is a brief introduction to the most famous of Fukuoka’s foods. 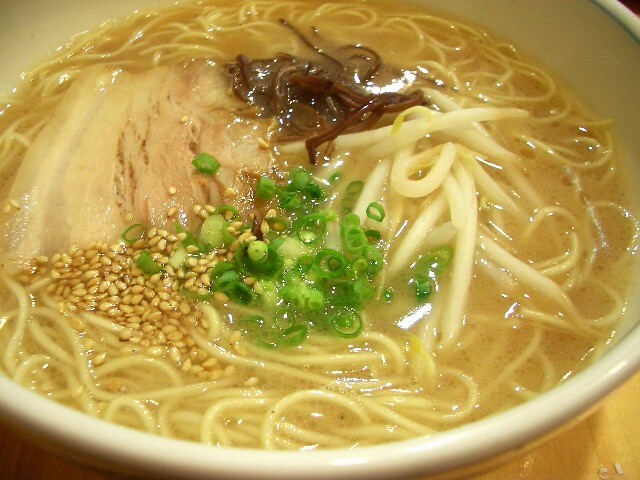 Hakata Ramen is the one thing, food or otherwise, Fukuoka is most famous for. This local style of creamy, pork-bone-based soup has become so popular that it is sold in shops throughout Japan and even abroad. Although other styles of ramen (shio, shoyu, miso, etc.) are under-represented in Fukuoka, its tonkotsu is commonly considered to be the best in the country. 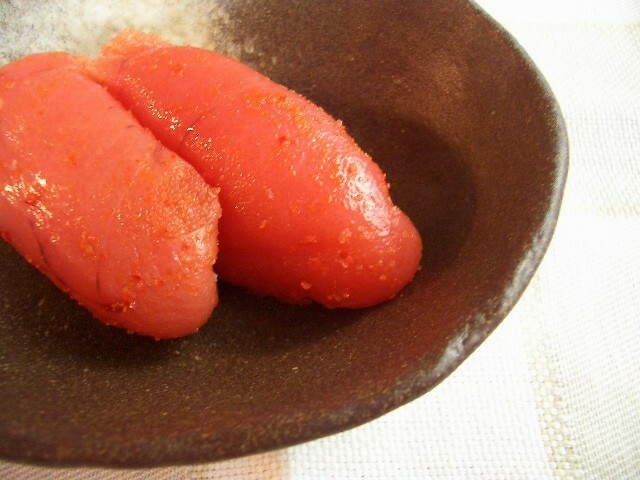 Mentaiko is pollack roe that is salted and flavored with chili pepper. This red-colored, spicy snack may sound a bit odd to those unfamiliar with it, but it goes great in onigiri and is a perfect side dish when drinking sake. Mentaiko has its origins in Korean cuisine, and it was introduced in Japan in the early 20th century. 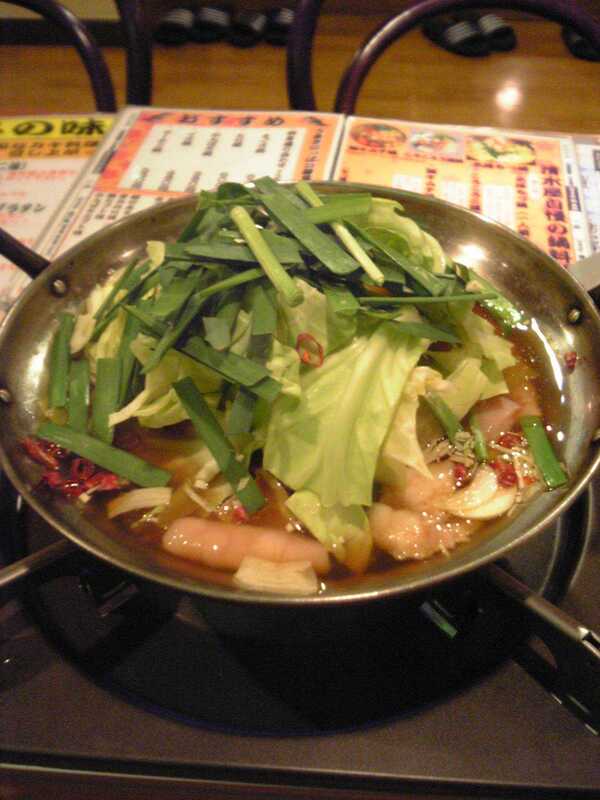 This is a type of nabemono, or one-pot dish cooked on the dining table and served directly from the pot. Motsunabe is made using beef or pork offal, and the soup base is either soy sauce with garlic and chili pepper or else miso. Motsunabe gained popularity as fad for a time, and even though this has died down, it remains popular in Fukuoka, especially in the cold winter months or when accompanied with beer. Mizutaki is another type of nabemono, in which chopped chicken on the bone is simmered in a hot pot with tofu, bean sprouts and various other ingredients, which are then dipped in a ponzu citrus-based sauce and eaten. Udon noodles (thick, wheat noodles) are a common and popular dish throughout Japan, and the noodles themselves vary greatly from region to region. Sanuki Udon from northeastern Shikoku is perhaps the most famous variety in Japan–these noodles are known for being extra firm. Hakata-style udon, however, is the complete opposite, featuring incredibly soft noodles for a completely different texture and eating sensation. 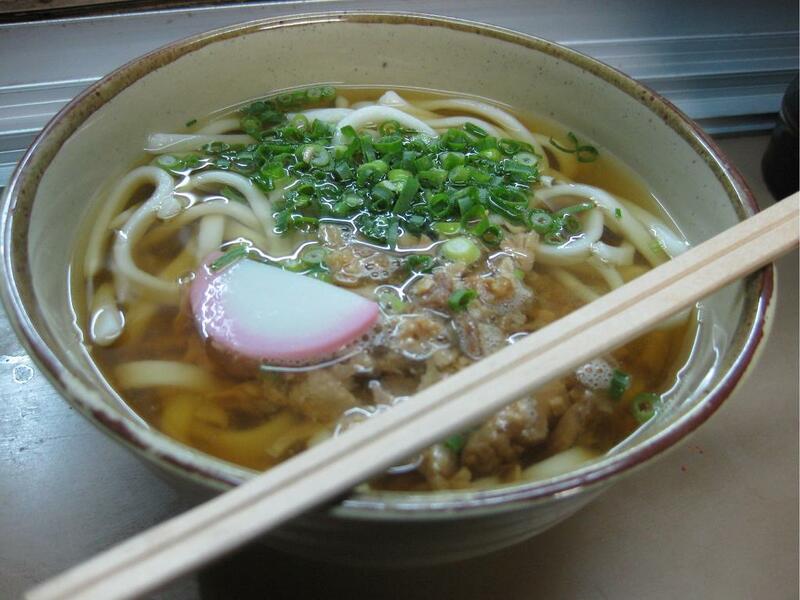 Both Sanuki and Hakata have claimed to be the birthplace of udon noodles, and whichever may be true, both places were instrumental in popularizing the dish to Japan. Various local sweets have gained popularity in and around Fukuoka. These include Hakata Torimon and Hakata no Hito cakes. Note: All images except that for mizutaki are from Wikimedia Commons. The mizutaki image is from Hakata Iroha. This entry was posted in Food and Drink and tagged cuisine, culinary, culture, famous, food, Fukuoka, Fukuoka blog, gourmet, Hakata, hakato no hito, Japan, Kyushu, mentaiko, mizutaki, motsunabe, nabe, ramen, sweets, tokotsu, torimon, udon. Bookmark the permalink. Ah! Nothing better than enjoying mizutaki with some ponzu, legs under a kotatsu with mikan on the table and the smell of a kerosene stove nearby on a cold winter eve! Yep, nabe season has indeed arrived! One of my coworkers regularly brings in Hakata Torimon as omiyage. I love 白餡 anyway, and the Hakata Torimon are so soft. Yep, I brought some back to the States when I visited my family, and it was the first time people actually liked a food I brought from Japan! I absolutely love torimon! Thanks for this-we’re headed to Fukukoa in a few weeks and I can’t wait to try these dishes! !